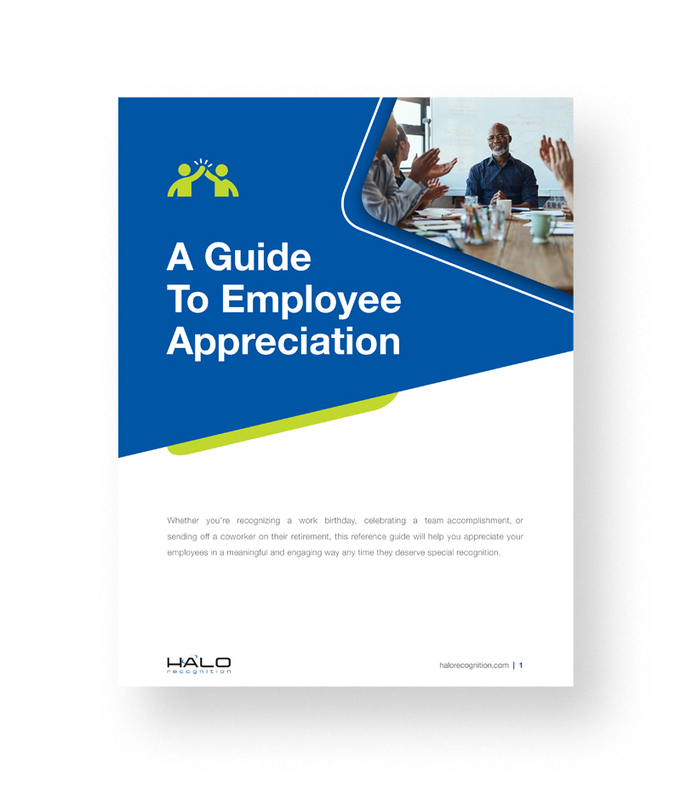 Download our Guide to Employee Appreciation eBook for tips, tricks, and celebration suggestions. 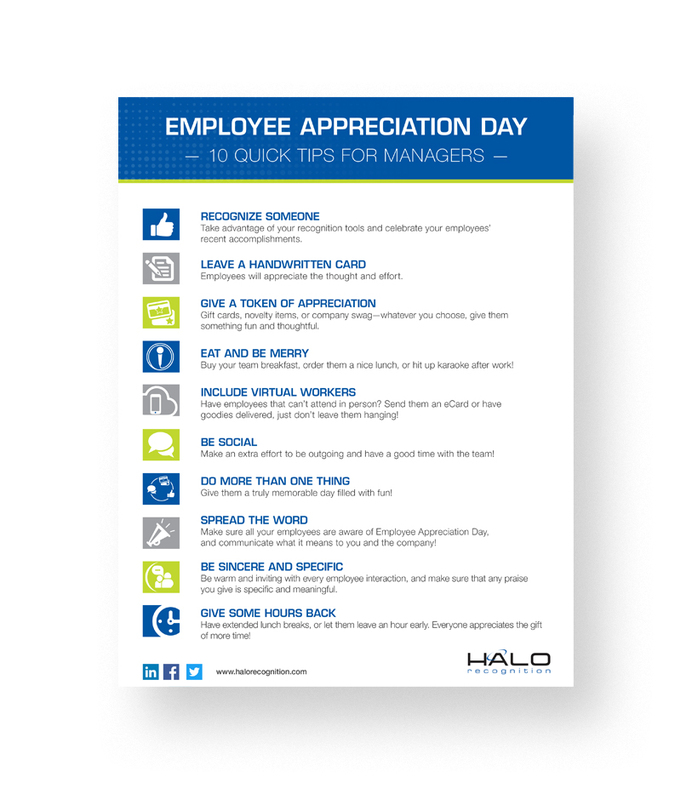 A quick-reference list of appreciation tips managers can use in almost any situation. 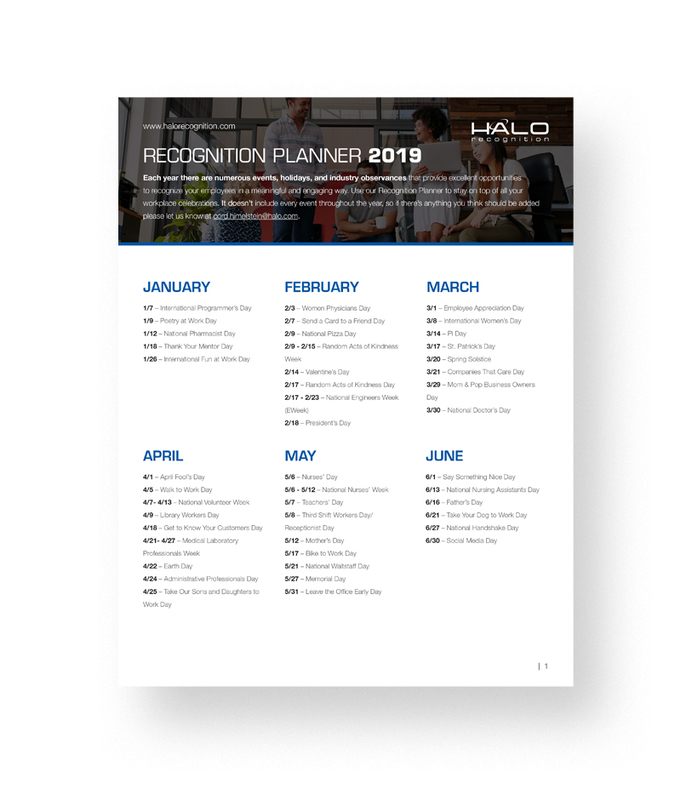 Employee appreciation should happen every day – use our 2019 Recognition Planner to plan for all the events and recognition days throughout the year. Do your employees feel recognized and appreciated? Answer a few questions in our Recognition Strength Finder to get a customized report on your efforts. Looking for branded merchandise to celebrate Employee Appreciation Day? Visit HALO Branded Solutions for the best selection and pricing in the industry! Looking for more assistance? Fill out the form below and our recognition experts can help!